In this instance, not Vertigo Coffee, but Vertigo, the 1958 film directed by Alfred Hitchcock and starring Jimmy Stewart and Kim Novak. 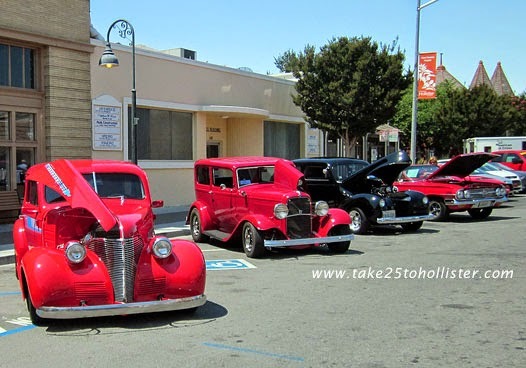 And, that is what Vertigo Day at the San Juan Bautista State Historic Park on September 26, 2015 will be all about. 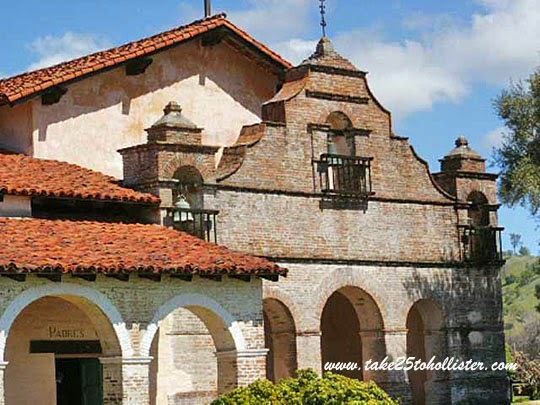 The event is sponsored by San Juan Bautista State Historic Park and the Plaza History Association and features a tour, a lecture, and a showing of Vertigo. 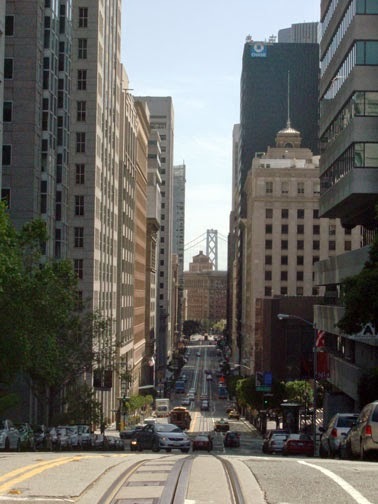 3:00 p.m. — a 1.5 hour guide tour of the mission and park, highlighting Vertigo stories and film locations. 4:30 p.m. — "Mastery of Hitchcock," a talk by Luis Camara, CSU Monterey Bay film professor, at the Plaza Saloon. 8:10 p.m — Vertigo on the Plaza lawn. Bring lawn chairs or blankets. It may be chilly, so bring jackets or extra blankets. The movie is free. The tour is $15/person and Professor Camara's lecture is $10/person. You can do both the tour and lecture for $20/per person. For more information about Vertigo Day, click here. Wondering where to eat before the movie? 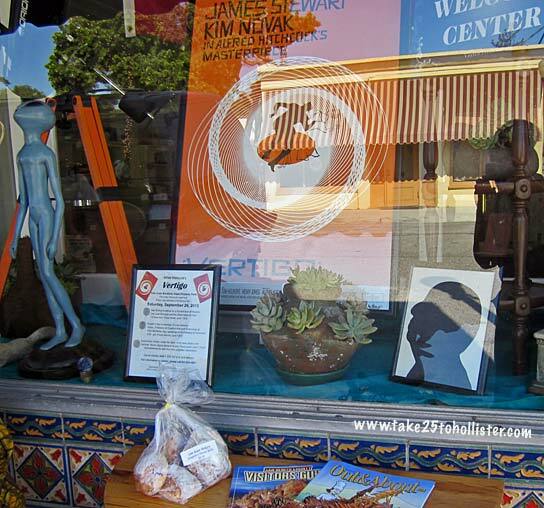 San Juan Bautista has several restaurants, including Vertigo Coffee which serves awesome handcrafted, oven baked pizza. 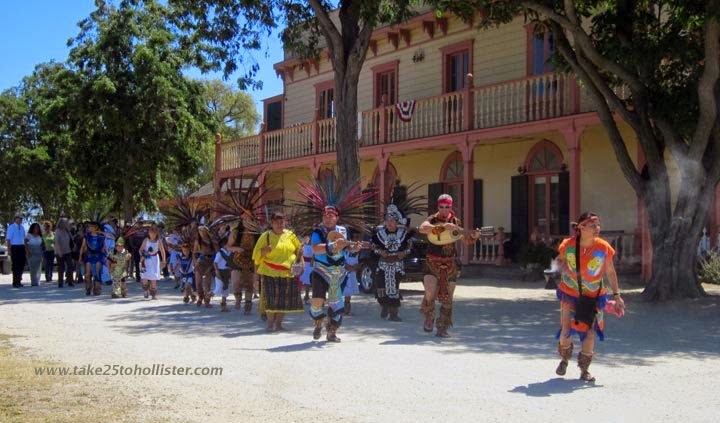 For info about places to eat and drink in San Juan Bautista, check out this link. I can't leave you without a clip from Vertigo. 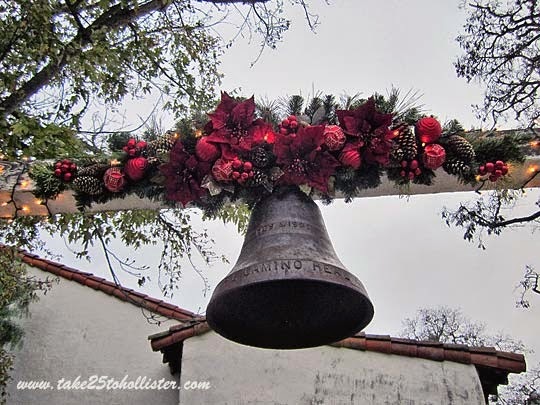 This scene is from the imaginary bell tower of Mission San Juan Bautista. 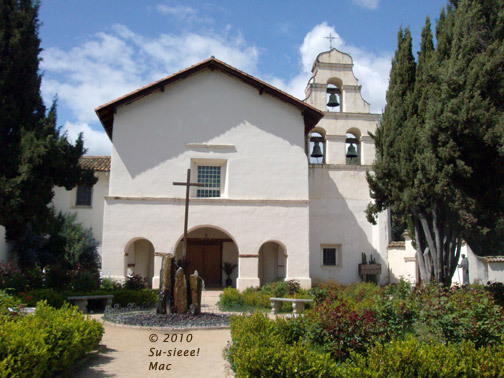 By the time Hitchcock came to San Juan to shoot, the mission no longer had a bell tower, so he built one for the movie. And, a taller one at that. 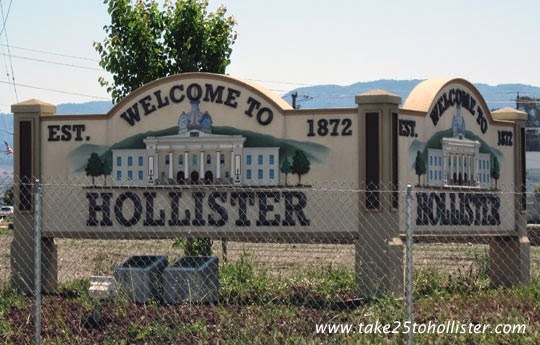 And, Hollister is an excellent location to live. 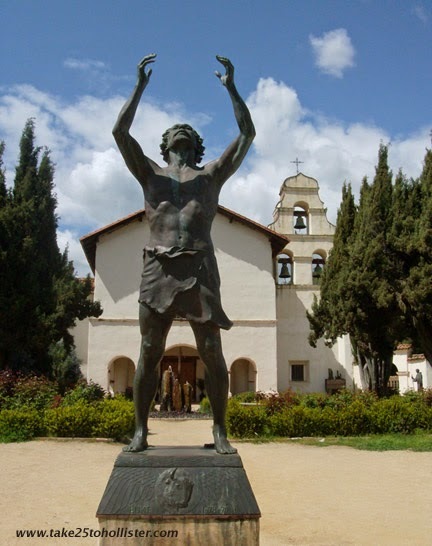 It's seven miles east of San Juan Bautista, one of the 21 California missions. 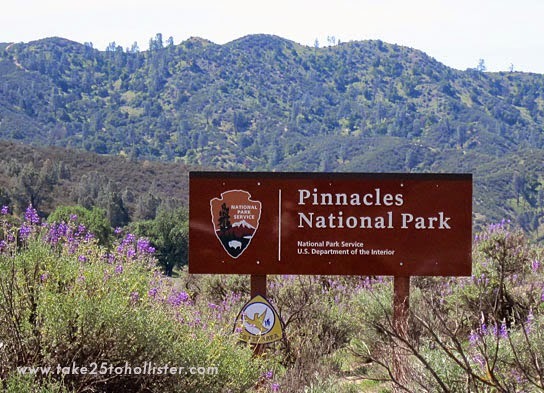 It's 30-some miles from Pinnacles National Park, one of the newest parks in the U.S. National Park Service. 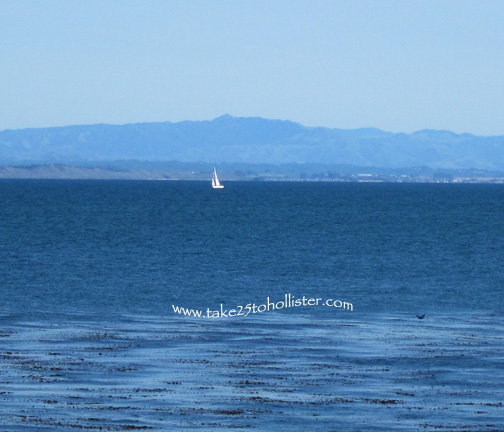 It's about an hour away from Monterey and Santa Cruz. 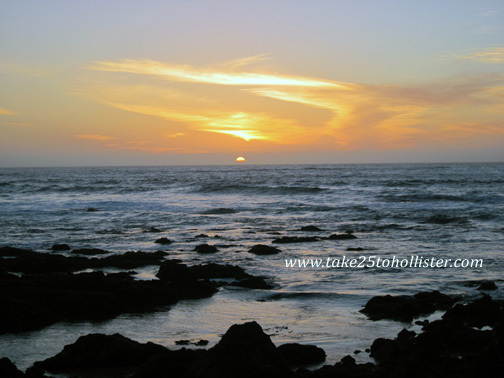 It's also an hour away from San Jose and Silicon Valley. 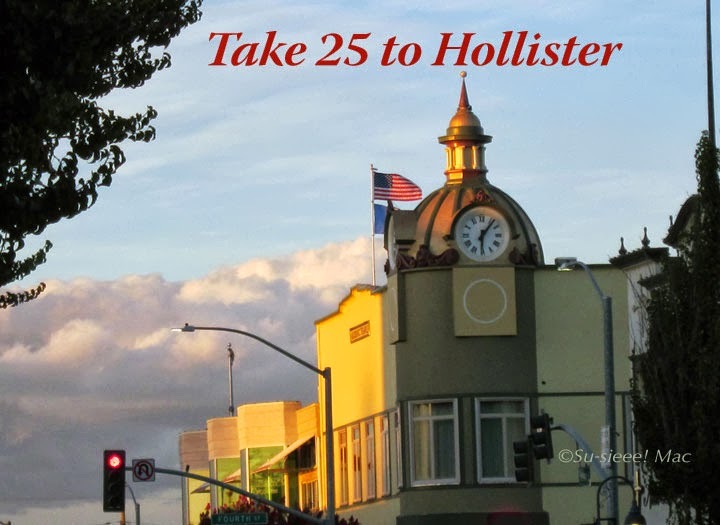 And, depending on how you drive, 90 minutes to two hours from San Francisco. Festivals, fairs, and fiestas! Olé! 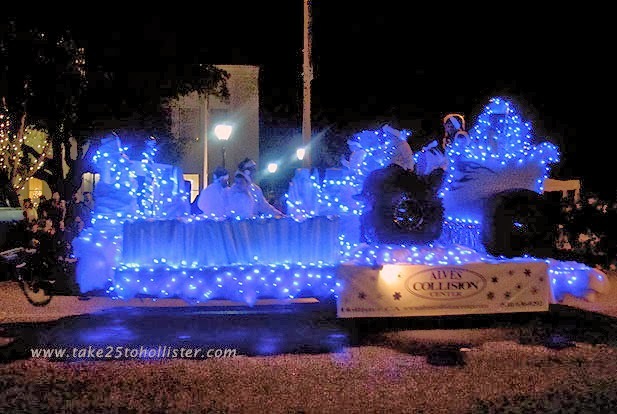 Come summer and fall, we can look forward to the various festivals, fairs, and fiestas that take place in Hollister and other parts of our county. These are just a few of the big ones. 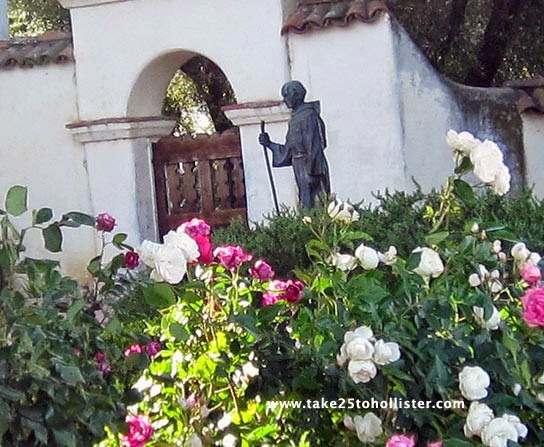 About seven miles to the west of Hollister is San Juan Bautista, named after Mission San Juan Bautista, which was established in 1797. 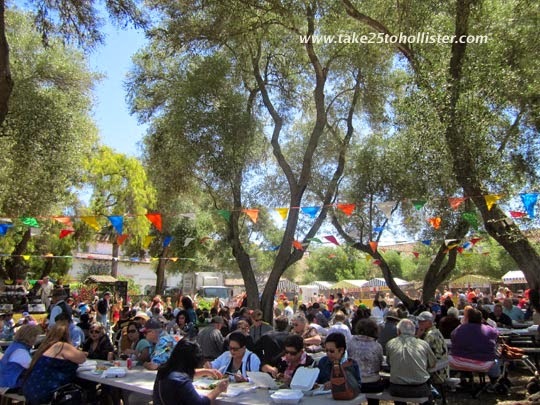 For many decades, the mission city has held an annual fiesta to celebrate St. John the Baptist, the patron saint of the Old Mission. This year, the event will take place on Sunday, June 28. Admission is free. 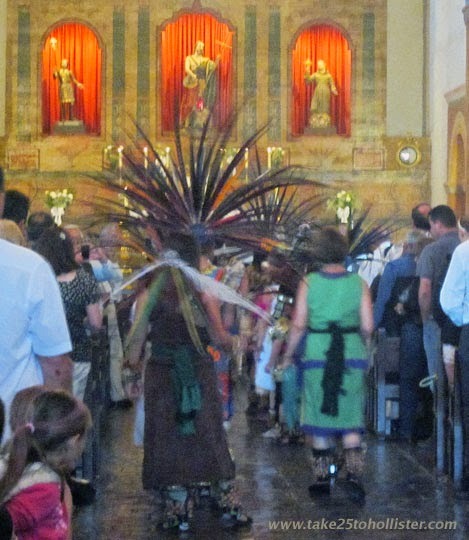 The celebration starts with a procession from the mission through the city and back up to the olive grove next to the mission. For more details, check out this link. 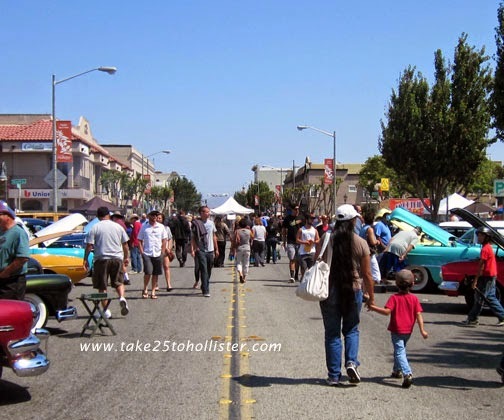 On July 18, 2015, San Benito Street and the side streets, between Fourth and South Streets, close for the 29th annual Downtown Hollister Street Festival, Car Show, and Swap Meet. 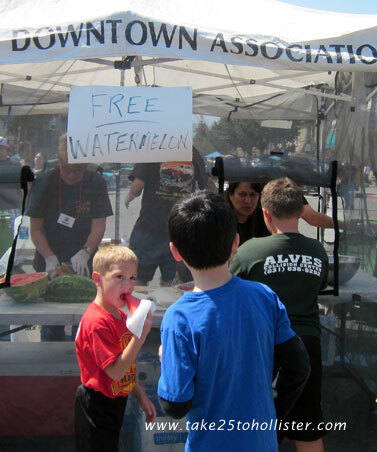 The free event is sponsored by the Downtown Hollister Association. 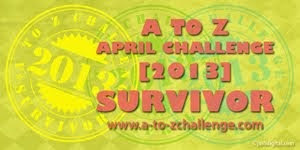 For more details about the free event, check out this link. Cowboy Boots & Local Roots is the theme of this year's San Benito County Fair at Bolado Park, about eight miles south of Hollister. Livestock exhibits. Live music. 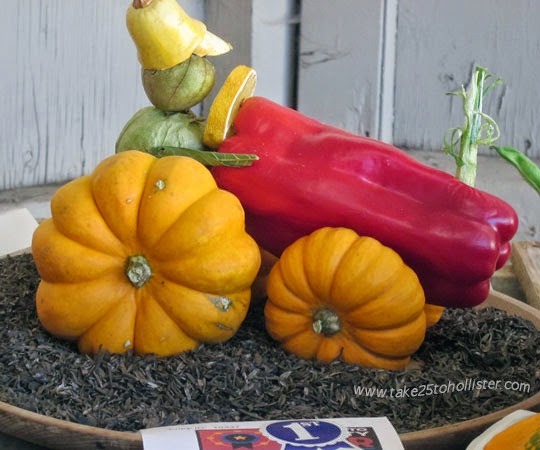 Flower, food, art, and quilt competitions. Business and nonprofit group displays. Carnival rides. Truck pulls. And much more. 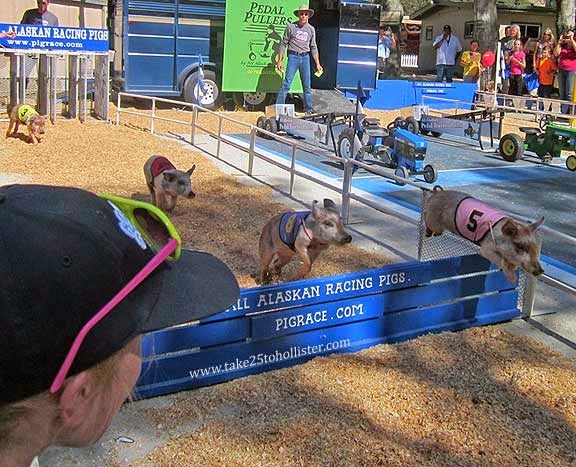 If you've never experienced an old-fashioned county fair, ours is the one to check out. 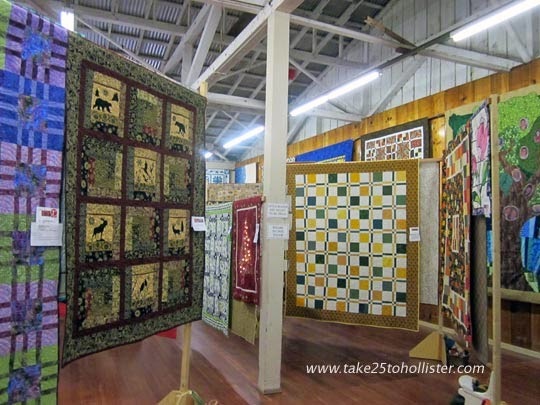 This year, the fair will be four days long, from Thursday, October 1 to Sunday, October 4, 2015. For more information, visit the fair's website. 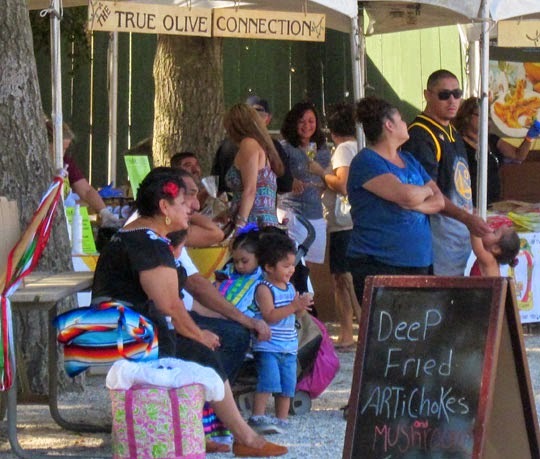 The third annual San Benito Olive Festival will take place on October 17, 2015. The location to be announced soon. 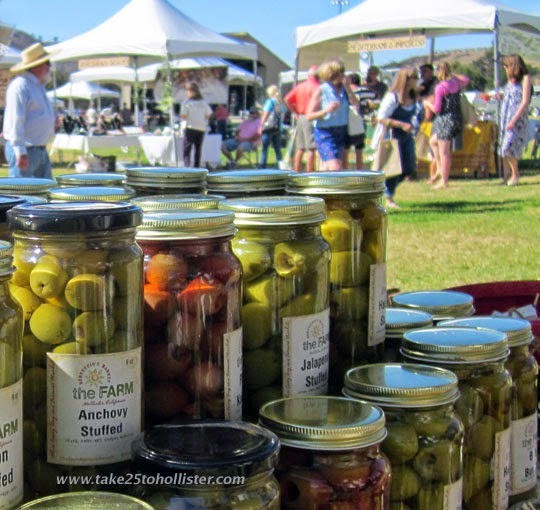 This foodie fair celebrates the agricultural heritage and bounty, as well as the artisanal foodmakers, in our area. Some of the products from here are olive oils, chocolates, wines, Blenheim apricots, cherries, lettuce, asparagus, greens, free-range chickens and eggs, free-range grass-fed beef, and more. 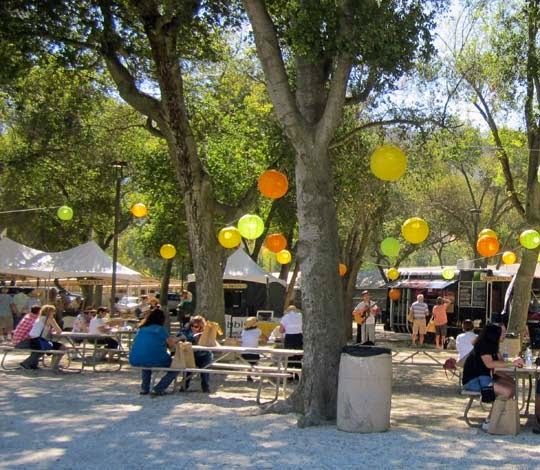 The San Benito Olive Festival, a nonprofit group, donates all of its net proceeds from the annual event back to other nonprofit groups in the community. For more details, visit its website. 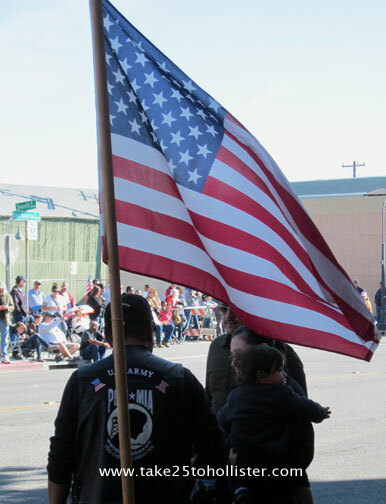 Here are some annual events taking place in November and December of this year in San Benito County. 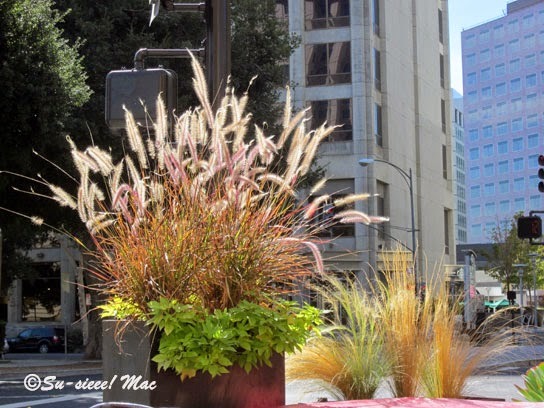 Click the following links to find out about events in other months. 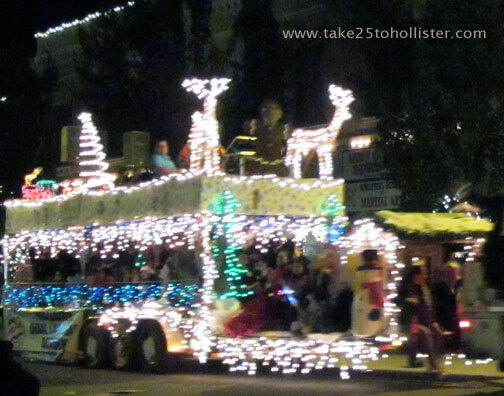 November 28: 25th Annual Lights On Celebration For its Facebook page, click here.